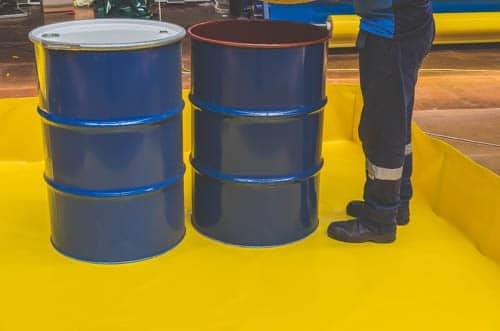 Fleximake offers a tailored spill containment/ Liquid containment systems solution for your specific application to ensure that appropriate systems are in place to keep your workplace safe and comply with environmental regulation. Fleximake provide market leading experience across a wide range of spill control systems. 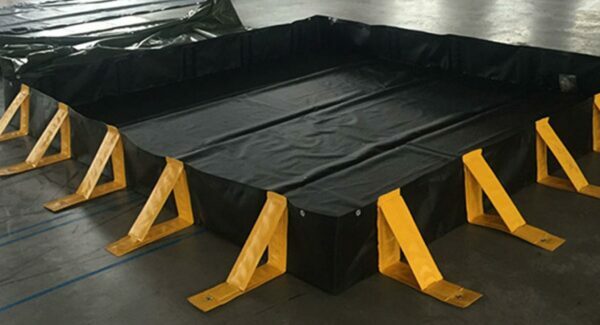 Our high-quality material sourcing and industry leading manufacturing techniques deliver finished products with high resistant to tears and abrasions. We use high-quality, environmentally friendly textiles and plastics to create systems that are sustainable and don’t harm the environment. 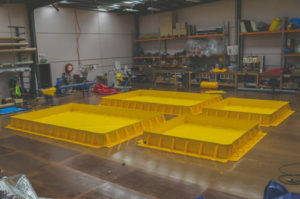 If you would like to learn more about Flexmake’s range of spill containment systems, or would like to request an obligation-free quote for a specific, custom-made product, please feel free to get in contact with our friendly and expert team of staff. 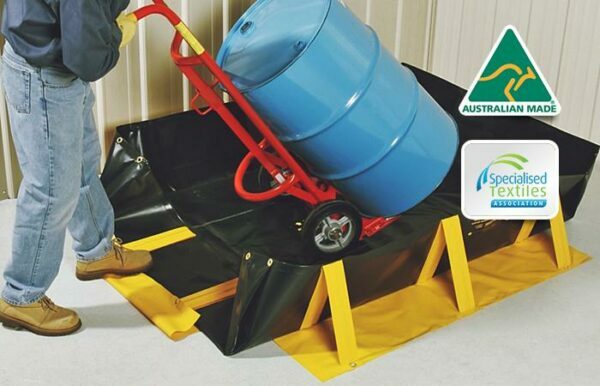 We are always happy to discuss our high-grade systems with our current/potential clients, so please don’t hesitate to call us on 1300 195 295 or fill out an enquiry form on our contact page and we will get back to you as soon as possible, with all the information you require. We also produce state of the art bunker covers, important for protecting your harvest from the elements. Fleximake is a producer of state of the art flexible products for uses across a variety of industries. We design and manufacture our products and have forged a reputation as an industry leader in the industrial, commercial, residential, and agricultural sectors. We produce spill containment systems and spill kits important for containing dangerous spills from fuel and other toxins. 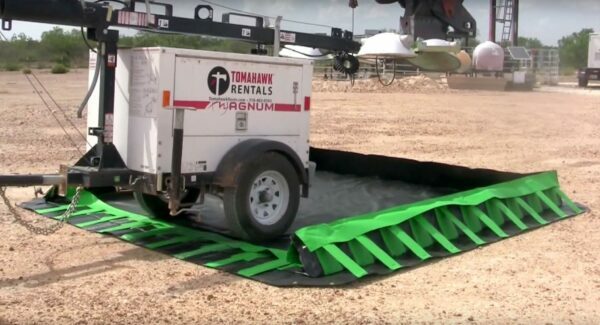 Get in contact with the team of experts at Fleximake to request your obligation-free quote.